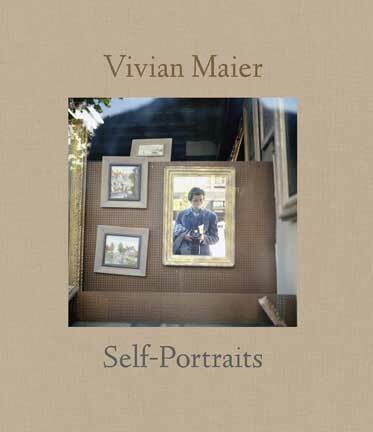 From Vivian Maier: Self-Portraits photographs by Vivian Maier, edited by John Maloof, published by powerHouse Books. 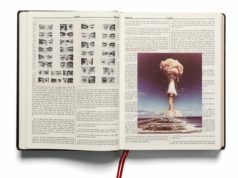 A photograph is often thought of as a visual document that reveals something to the viewer. The magnitude of a natural disaster, the beauty of a landscape or just snap-shot moments of a vacation. Through what we see, we usually feel that we gain a deeper knowledge of what’s displayed in front of our eyes. We can relate to events or feel close to the people being portrayed. 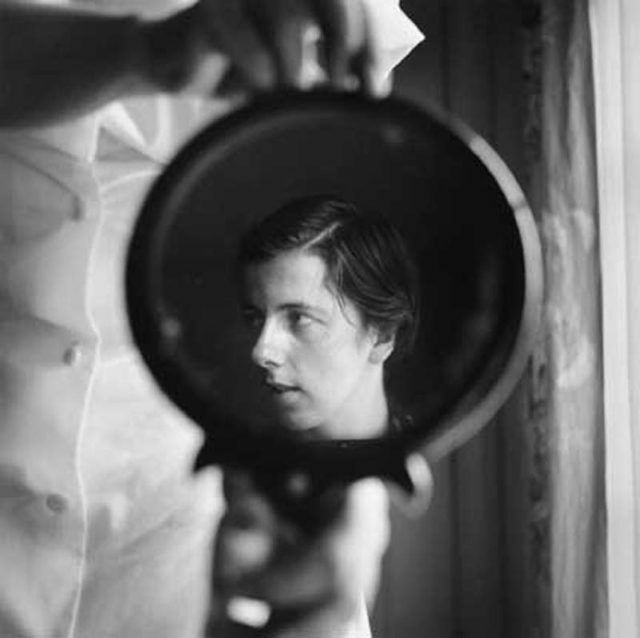 Yet in the case of the self-portraits of Vivian Maier the contrary seems to be the case. Instead of getting to know the person behind the camera, she seems to be moving further away. Into the distance. Leaving the observer behind with more questions than answers: Who was Vivian Maier? 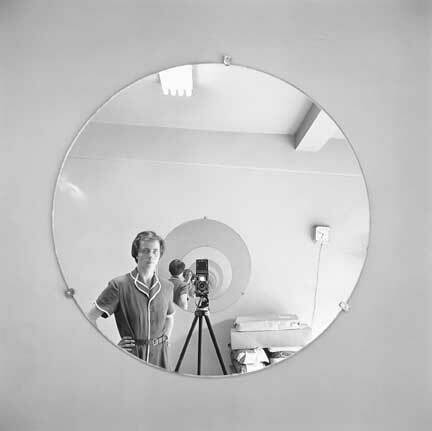 Sure, there are some images in the book showing Vivian Maier clearly with her Rolleiflex in hand. But in the majority she almost seems to disappear – at first glance at least. Vivian Maier, the invisible artist, so hard to grasp. She naturally blends in with her surroundings, hiding away from catching attention; but yet she’s always there. Sometimes she’s a subtle reflection in a shop window. Then again she appears beautifully incorporated in a multi-layered setting. Or Vivian Maier turns up only as a shadow, a silhouettes mysteriously reaching into the frame. Self-portraits full of wit, humor and extraordinary creativity. It’s as if the author was playing hide-and-seek with the observer: Catch me if you can. It’s fun to chase Vivian Maier – even though she always manages to escapes every time one feels close to grab her. There’s little we know about the woman who died in 2009 at the age of 83 leaving behind almost 150.000 negatives that by now have earned her a place among the great street photographers of all times. Born in New York in 1926, Vivian Maier later moved to Chicago where she worked as a nanny. In her free time she used to roam the streets taking photographs. It’s said that she never shared her images with anyone, keeping them to herself; piled up in boxes that were later sold at an auction when she couldn’t pay her bills anymore. One of the buyers was real estate agent John Maloof, who was working on a documentary project about the neighbourhood who grew up in and was hoping to find some material among the negatives and undeveloped rolls of films of then totally unknown street photographer Vivian Maier. 380 US$ he paid for the boxes, remembers Maloof. Going through the images, Maloof quickly realized what he had in hand: The work of an incredibly gifted artist with a unique talent for composition and framing. He tried to contact her, but it wasn’t until he accidentally stumbled upon her obituary that he found out about the identity of the author of so many great street images. The more one deals with Vivian Maier, the more mysterious she becomes. But then again, maybe the self-portraits do tell something very important about the woman who took them. They show a shy, unpretentious person who steps back behind her art. Who’s not interested in playing a lead role. Someone walking around with a keen eye for detecting candid moments, but preferring to get by unnoticed herself. That’s the beauty of Vivian Maier. She’d probably wouldn’t have cared much for the applause she’s receiving post-mortem for her work. Diane Arbus once said: “A photograph is a secret about a secret. 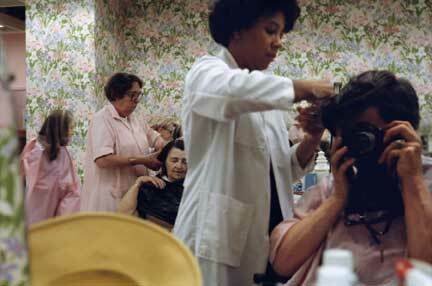 The more it tells you, the less you know.” That’s certainly true for Vivian Maier’s images. You might also find interesting the photography book Vivian Maier Street Photographer which shows some of her most remarkable street images.